The Duke Blue Devils rolled to an 85-62 victory over North Dakota State to advance to the round of 32 this Sunday against the winner of Central Florida and Virginia Commonwealth. Zion Williamson playing in his home state helped Duke with 25 points, including several highlight dunks. Duke played a very sluggish first half on offense taking a 31-27 lead into the break over the underdog Bison. But the Blue Devils came out focussed and overwhelmed North Dakota State in the second half. R.J. Barrett added a team-high 26 points as Duke outscored the Bison 54-35 in the second half. The Blue Devils won their 30th game of the season against 5 losses. Much more to come. Be sure to check out an exclusive post game chat with Duke assistant coach Nate James on the Blue Devil Nation twitter feed as well as other interviews. 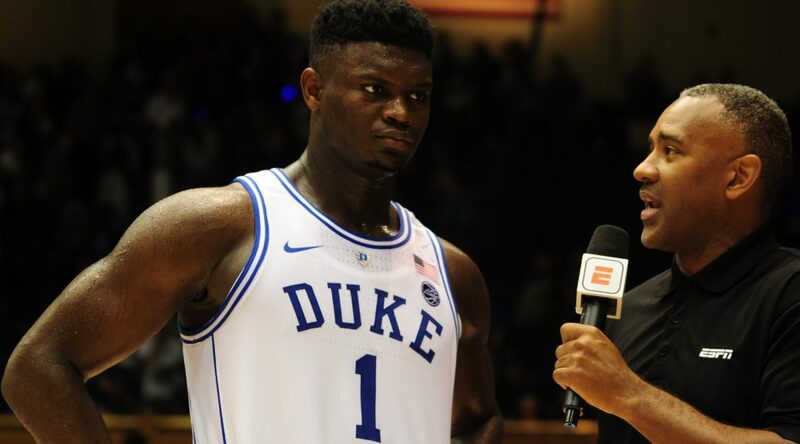 Duke may have been able to play Zion Williamson during the regular season or before the ACC Tournament but elected to sit the National Player of the Year to be. The sacrifice was clearly worth it. A fresh fully healed Williamson seems poised to follow-up on his ACC Most Outstanding Player with even better play in his home state of South Carolina. So while Duke finished third in the ACC regular season, they cut down the nets when it counted for more. In doing so earned the number one seed and the number one ranking in the final polls. Can youth handle being the favorite? This year's Duke team does not have a senior team captain, Quin Cook running things nor a guy who has stepped up big time like the former Brian Zoubek and his former roommate Jon Scheyer. The aforementioned veteran players played vital roles in the 2010 and 2015 National Championships. This seasons team which is the fifth youngest group in the nation will depend more on some really talented youngsters. Despite the talent, how will they handle things when the games get close? Well, Mike Krzyzewski and his staff will fill some of the voids, but this group must take the games one at a time and tune out the hype as best they can. Fifteen of thirty ESPN experts have picked Duke to win it all. That fact epitomizes the media pressure. Sooner rather than later for Bolden? The news came out yesterday that Marques Bolden had returned to practice via Javin DeLaurier. It only makes sense that Duke puts him back into the rotation the second he is ready. The reason, of course, is to develop team chemistry and to quickly get him back into game shape over the next week. Duke will not need the junior center in their first outing in Columbia but seeing him by the Sunday game would be encouraging. The staff will make sure that Duke takes it one game at a time in the tournament. The cold, harsh reality of one loss and done has entered the picture and that means you must focus on the job at hand. Duke cannot control whom they play, when, etc. The Friday-Sunday match up should work out well in that one your players have an extra day of rest. The team might see a higher seed go down the day before which emphasizes the importance of focus. Fans will one day look back on this Duke team as a special one no matter what they do in the tournament. The reason being the collection of young talent. Zion Williamson and RJ Barrett are destined for greatness in the NBA. You just do not see two players of this caliber on the same team and likely never will again. At season's end, both players will have averaged over 20 ppg and no freshman duo has ever done such a thing. 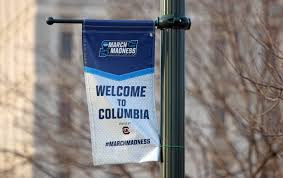 Duke will be playing at Columbia Life Arena in Columbia, S.C. They will have an open practice for the media and public on Thursday starting at 3:25. Their first game on Friday will tip-off promptly at 7:10 and will be televised by CBS. Are you going to the games and looking for something to do on an off day? Try Riverbanks Zoo or Columbia Canal on the Riverpark or visit the South Carolina State Museum. Duke finishes the regular and conference tournament season ranked #1 in the nation. Duke Coach Mike Krzyzewski had led Duke to that ranking 123 weeks which is the most of any coach in the history of the sport. Krzyzewski has an amazing 94-29 record in the NCAA Tournament. If you think the Duke staff is not recruiting while the tournament is going on, think again. But once it ends, recruiting picks up and BDN Premium will be talking about key prospects like Matthew Hurt. Help support Blue Devil Nation by joining for a straight forward, no fluff take on what goes on behind the scenes. You can join for 60.00 for one year during our special and those funds help us to better cover the program you love. And you can then read premium articles and have access to the message board where you can ask questions and get honest answers. 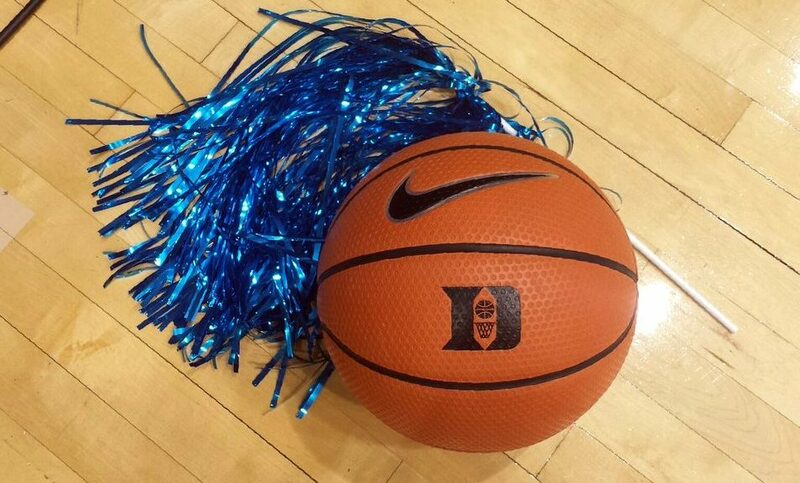 It's nice to return to the ACC Championship Game for Duke - The Blue Devils have won 11 of the last 22 ACC Championship games in the Mike Krzyzewski era and they have a chance to make those historic numbers more gaudy with a win over Florida State tonight in Charlotte. The game tips off at 8:30 and the teams are meeting for the second time in the title game, Duke won that game in Atlanta vs the Seminoles. What a game - Last nights thrilling win over North Carolina was one of the classic games in the rivalry. 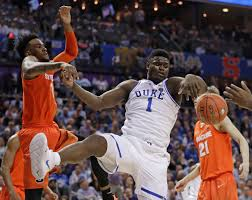 After losing the regular season games, Duke got the monkey off their back by playing tough defense while the world continues to fawn over the amazing play of Zion Williamson. I want to talk about the game, I do. But for now, Duke needs to put this one to bed and let the final emotion out at games end providing they defeat a tough Florida State team. FSU is playing with a chip on its shoulder - Do not overlook Florida State for many have before you including Virginia. This reminds me of classic Leonard Hamilton teams. They are big, deep and athletic and they have stayed just in the shadows of the ACC's big three. And they are out to prove they not only belong but that they are the best team in this tournament. Duke fans should make the journey - Last night the crowd was decidedly light blue but both Tar Heel and Cavalier fans left in droves. That means a lot of tickets will be available and for very good prices. You do not need to hit one of those ticket brokers. Instead, purchase the tickets outside the venue for there will be some and they will likely be cheaper. Turn Charlotte the right shade of blue. The fatigue factor - Duke will need to play its bench again against the Seminoles and as I stated yesterday, it is vital all players produce some numbers on the stat sheet when out there. How about the play of Jordan Goldwire? Well, one thing to watch today is his legs for he is not accustomed to the minutes and he was dragging last evening after some sensational, soon to be legendary minutes in the Duke-Carolina series. FSU will test Duke in the paint - With Marques Bolden out and limited depth, the Seminoles will try to exploit Duke inside with their size. And, oh, are they big. Duke will need to spread the court to loosen things up. Speaking of the paint - I know I said minimal talk on the win over UNC, but the Blue Devils scored more points in the pain on their rival than any team in the last eight years. I just had to get that out. Seeding - Most think Duke has earned the number one line in seeding with last nights win. But a win today cements that and could vault them to the top line depending on which of the way to many bracket projections types. BTW, if you haven't done so yet, enter the Blue Devil Nation Tournament Challenge through ESPN. The group name is, of course, Blue Devil Nation and here is the link - Click HERE. All the negativity - Perhaps it is the fact that I have seen Duke Basketball up close and personal since 1980 when Coach Mike Krzyzewski stood on the side of Cameron being introduced as their new coach that gives me perspective. But it was amazing how negative some in the fanbase got after losing to UNC last week. 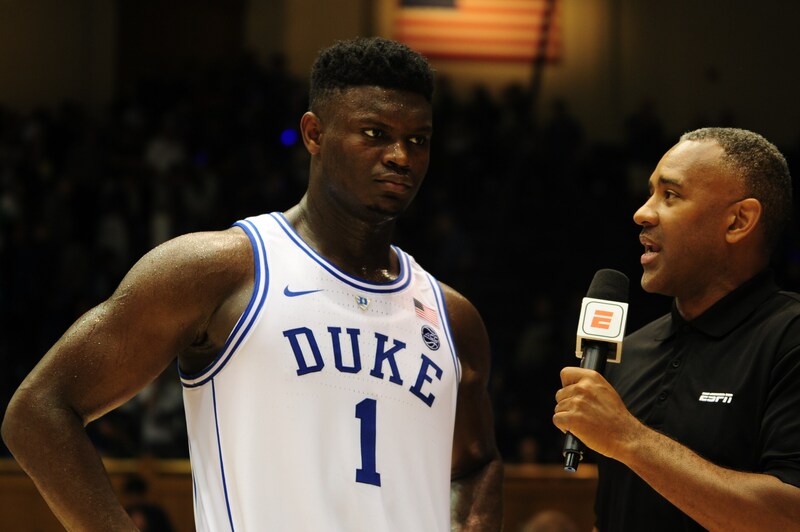 All the rumors on Zion Williamson when in fact Duke has been up front the whole time on what is happening. If Duke wins the game today, people who were up in arms will realize what some wiser minds said, that being, see the big picture. It is clear Williamson is healthy and rested now and at the right time of the season. What I think will happen - FSU lost to Duke on a three-point shot from Cam Reddish in Cameron earlier this season. Zion Williamson scored 11 in that game and was sidelined for part of it. The Noles nailed a lot of threes in that game and Duke must chase their shooters off the stripe. Everything points to this game being a grinder and the Noles are tolled to defend Williamson better than most. I look for a very physical game and one that will make both teams reach really deep. I think Duke wins another banner but it will not be easy on such short rest and missing Marques Bolden who is expected to return next week. This will be a major test for the young Blue Devils who win or lose will need to get back to Durham in one piece for selection Sunday. The Duke Shadow Helps UNC -- Duke will play North Carolina for the third time since February 20th in the ACC Tournament semifinals just after 9:20 this evening. In each of the previous games, the Blue Devils have been the media darling. In fact, more people have been talking about when Zion Williamson will play than the two North Carolina wins and that kind of thing gets to you. This is especially true for a North Carolina team that is red-hot. No matter what they do, people have talked about Duke and that same thing will allow for a collective chip on their team's shoulder tonight. Trust me, the Tar Heels want their shot at Zion too if for no other reason than to remove that asterisk people have mentioned. Most teams would not trade places with Duke and the hype surrounding them, but it can at times work against you and I would make a case for that happening in this series to date. I cannot help but notice or recall that -- Zion Williamson went out shortly into the McDonald's All American game when Tar Heel to be, Nassir Little aggressively jumped out to defend him resulting in Williamson going down which led to Williamson injury. That was uncharacteristic, if not over the top effort defensively for an all-star game atmosphere, In the game at Cameron, Luke Maye jumped out to defend him causing Williamson to start to make a move and we all know what happened with his shoe a second into the aforementioned move. The point is that the Tar Heels will make Williamson prove himself and could use the strategy of fouling him to limit his game. Williamson struggled from the free throw stripe last evening while dominating every other aspect of the game. Duke does miss Bolden --Marquese Bolden clogged up the paint for Duke and with him being out, Duke is smaller even with Williamson back. The Tar Heel love to go inside and their backdoor cuts are relentless, so Duke will have to get a big game from Javin DeLaurier and Jack White on the boards. Limit mistakes - Teams can find themselves down in a hurry to North Carolina just as they might Virginia. You have to value the ball against the Tar Heels in that they are so efficient on the offensive end. No team is playing together better than North Carolina at this time. Duke turned the ball over in a way last night that would bury them against better teams. It is critical that they cut down on mistakes against one of the ACC's best teams. Don't get caught standing around -- If Duke stands around and watches RJ Barrett and Zion Williams it may not be enough. The Blue Devils must develop other scoring options and to win the tournament each member of the team has to show up. Will someone in please ask RJ Barrett a question? -- Okay, yes, Zion Williamson had the game everyone is talking about, even those who do not follow hoops closely. But Barrett seemed lonely on the podium last evening with one question coming his way. Barrett is incredibly consistent and is the only college basketball player in all the land that has scored at least 13 points in every game he's played. Yes, it looks like this game is for a #1 seed. -- While Duke is no lower than a #2 seed no matter what happens, they have to win tonight to regain a #1 seed. Tre Jones must keep shooting. -- I get that he struggles at times with his three-point shot, but he must stay aggressive and take those open looks. Good things will happen in time if Jones continues to score and may he get to the line more as well where he was perfect last night. The bottom line is that Jones took a three is a much better option than some others doing so on this team and the shot will fall if he stays with it. What needs to happen. -- I will not mention any names here but some Duke players on the roster have not shown up against North Carolina and in this game, the whole roster needs to contribute. What I see happening tonight. -- It will be a heck of a game and one where things could get chippy. Williamson will have to earn his points but Duke will benefit from his presence which will loosen up others to score the ball. I feel that Duke could actually lose this game and still win it all, but I think they will find a way to come out on the winning end against North Carolina. After a long break, the Duke men's basketball team returns to the court this Saturday evening to take on Clemson in both teams ACC opener. Duke will do so ranked as the number one team in America after going 11-1 during the non-conference portion of the schedule. During the seasons opening stretch, the Blue Devils won a memorable game over Kentucky in dominant fashion in. They would be humbled against Gonzaga but also gathered wins over solid teams in Auburn, Indiana and Texas Tech. The Blue Devils have also become must-see basketball where they dominate the likes of the ESPN airwaves with the teams' exploits. 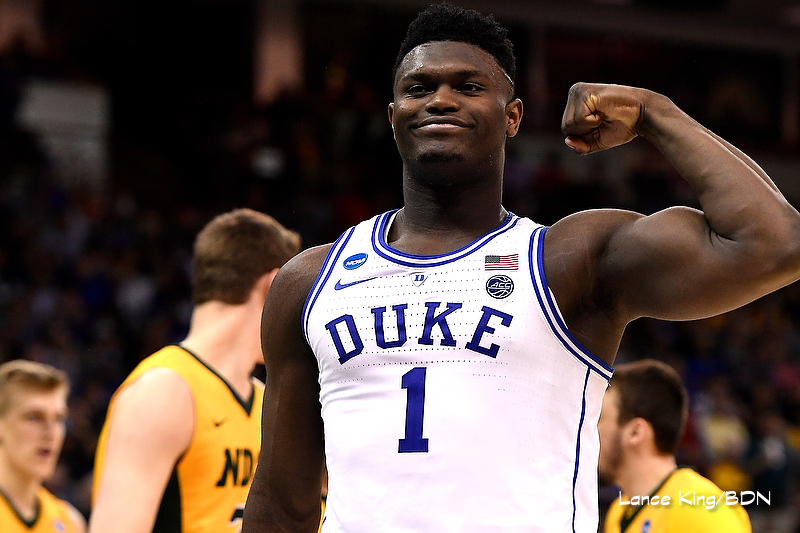 While R.J. Barrett is the teams alpha player, it is Zion Williamson that has set the world on fire. Williamson has made it clear that no analysts can properly describe his game to date, The young phenoms game is more than powerful dunks. He has shown an uncanny potential to flourish in any on the court situation and his every move is watched. Duke has also developed quite nicely around their two high scoring stars. Tre Jones has run the point guard position effectively and his defense often starts the machine and its roll. Cam Reddish has struggled at times, but his potential points to more consistent play and aggressiveness during ACC play. But when the four freshmen play together, they are at times unbeatable. In the preseason, most analysts felt Javin DeLaurier and Marques Bolden would share the fifth starting spot. Both of these players have shown flashes of solid play. An injury set DeLaurier back a bit and Bolden has had some moments. The most surprising contributor to date has been Jack White. In fact, he is currently the fifth man due to his ability to fit in seamlessly. White is flourishing in his captain's role on and off the court. Duke has also been able to develop more depth in the way of Alex O'Connell. A timely three-pointer here and there but more importantly being better on defense has made him an option. The team will now face the gauntlet known as the ACC schedule. And the league is good. Florida State, North Carolina, N.C. State, Virginia, Virginia Tech are all off to solid starts and each is ranked. The Duke staff will now have to prepare the team in a short time between games until the NCAA Tournament ends. By all accounts, the time off has been beneficial for the players before the ACC slate, It is the last time they can really catch their breath and reflect on how things have gone to date. Those lessons learned can help prepare them for the stretch run. From this point forward, the games and lessons come quickly. In a sense, Duke is ahead of the curve with concern to chemistry, This seasons teams core was set early on and there is little to no controversy to date. It will be important for the collective team to learn in the coming battles, who takes shots and when in close contests. When it is time to leak out into the passing lanes instead of leaving others open and so and much more. Those are the lessons which will help guide them to their goal of getting to the Final Four. One thing we know for certain. That being that the hype will not go away. During ACC play, Duke will have to learn to deal with expectations and how hard it is to bring your A game every night. In short, they will get every teams best shot. While this team has yet to achieve anything in the way of championships, they surely have the potential to be special. This team has the air of those special teams past but it will take continued work and some luck for the ultimate success. It will surely be fun for the Duke fan base to watch as the season unfolds with what has become one of the more likable teams in memory. And that is saying a lot for Duke fans love all their teams. Strap yourself in for what is now the greatest show in college basketball. But there will be some bumps along the way and how the team deals with them will ultimately decide if they become truly special in the way of title memories. The Duke Blue Devils pushed their season record to 7-1 with a 113-49 win over Stetson. Duke came into the game as a 43 point favorite and the team did not disappoint. In fact, Duke cleared their bench at the eleven-minute mark in the second half with a 90-31 lead. The Blue Devils were paced in scoring by RJ Barrett who scored 26 points including back to back dunks with the second one coming off a steal. Cam Reddish knocked down four three-point shots to tally 23 points in just twenty-two minutes of play. 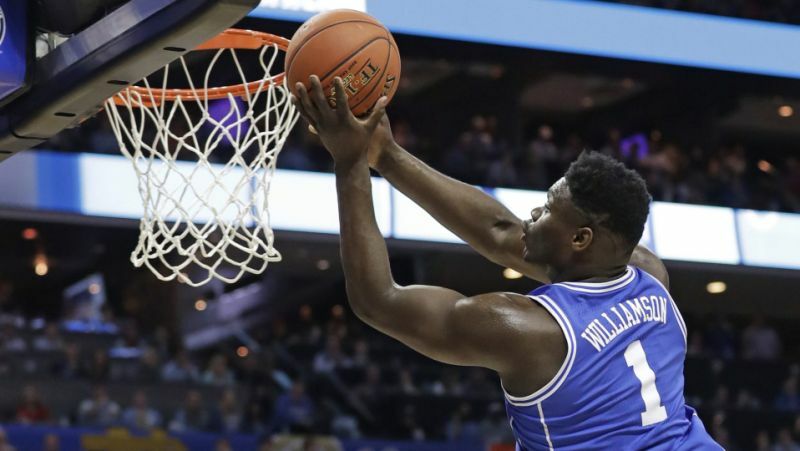 Zion Williamson added 17 points in a mere eighteen minutes of play. After a sluggish start, Javin DeLaurier and seldom used Jordan Goldwire sparked Duke off the bench who added 15 points between them. Duke also had double-figure scorers in Justin Robinson and Alex O'Connell who had 13 points apiece. Duke shared the ball well with 29 assists. Duke had 19 steals in the contest as well and a 43-7 edge in bench player scoring. The subs had a 10-0 run to end the game. To give one an idea of how long the bench played, Alex O'Connell led his team in minutes played. The Blue Devils scored 41 points off Stetson turnovers. Duke held a 58-24 edge in the paint as well. Coach K also gave his condolences to George Bush who passed away today. He met Bush through announcer Jim Nance and had the former president to Cameron for games in the past. Bush also attended the last Duke national title. The win was the 143rd consecutive non-conference win in Cameron Indoor Stadium. Duke will return to Coach K Court on December 5th to take on Hartford.